Almost time for the second meeting of the Heron Social Club! Shake with ice and strain into a chilled cocktail glass. 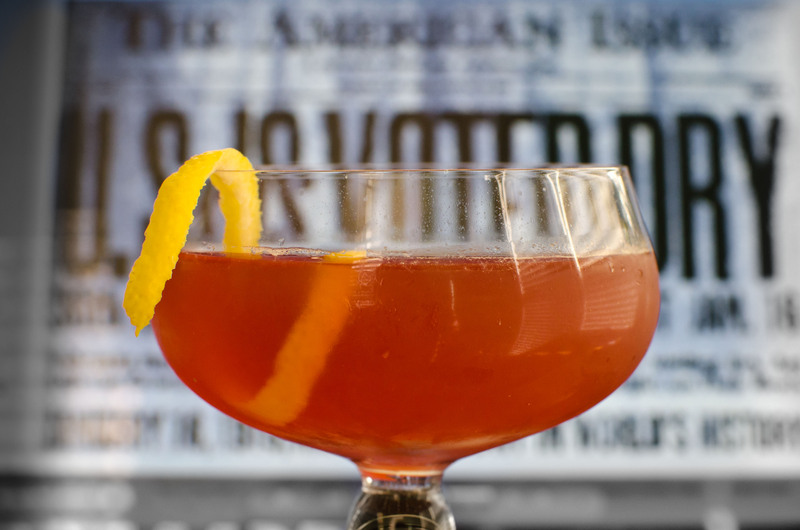 Have a laugh at the folly of Prohibition and garnish with a lemon twist. Of course, with all the rampant disregard for the 18th Amendment flying about, a new term was needed to refer to those who were flagrantly in violation of the law. What to do? If you’re an American multimillionaire, you throw a contest — which is exactly what Delcevare King, prominent member of the Anti-Saloon League, did. The prize was $200 for the best term describing “the idea of lawless drinker, menace, scoffer, bad citizen, or whatnot, with the biting power of ‘scab’ or ‘slacker.” On January 16, 1924, the Boston Herald announced the winners — Pastor Henry Irving Dale and Kate L. Butler, who had both submitted the term independently of one another. They split the prize. If using an egg white, shake dry (i.e. without ice) for 15-20 seconds, then add ice and shake. 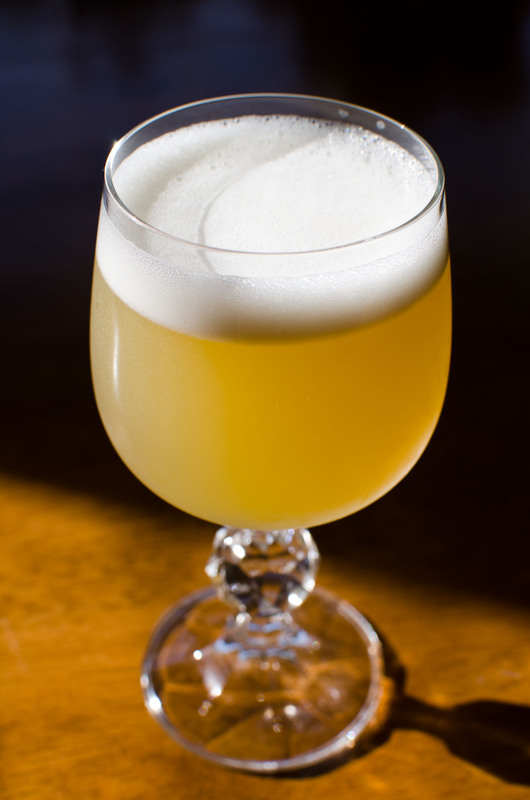 Strain into a sour glass, rocks glass, or goblet. Dave and I went with the Whiskey Sour second because, like the Scofflaw, it’s a gentler way of introducing a spirit. At our first meeting, some folks had tried a Martinez and Martini and weren’t quite convinced about gin, but then the Fitzgerald turned the tide. Aside from the fact that it was cocktail number three (inebriation must be considered), the Fitzgerald was a hit because it’s much easier on the pallet (basically a gin sour with bitters). 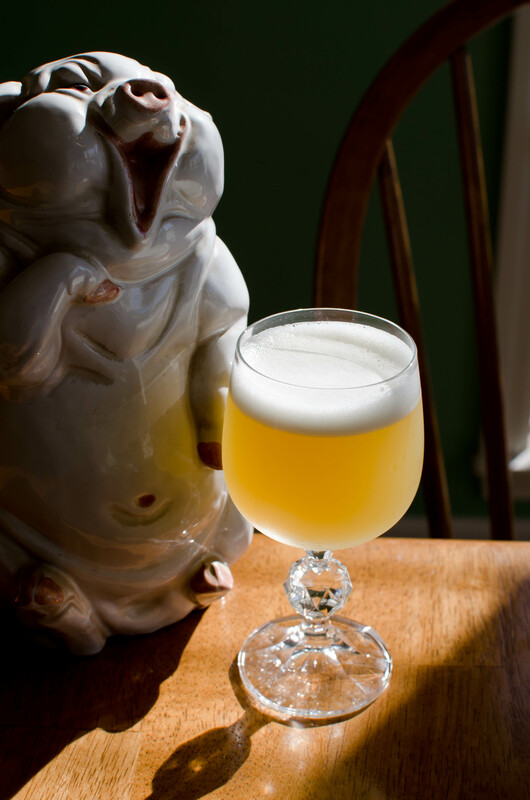 You can use any spirit in a sour, and most bars will have some idea of how to make one, but be on the lookout for pre-made sour mix. For further easy drinking, consider these variations on the sour: the Sidecar (brandy, lemon juice, triple sec), the Margarita (tequila, lime juice, triple sec), the Daiquiri (rum, lime juice, sugar). Play with the 2:1:1 ratio in these and vary the proportions accordingly. Stir with ice and strain into a chilled cocktail glass. Garnish with a maraschino cherry (a good one — Luxardo or homemade). The Martini is supposedly the King of Cocktails, but I’d throw my support in behind the Manhattan as a serious contender for that title (or maybe we can think of it as the Prime Minister of Cocktails, despite Churchill’s preference for gin). 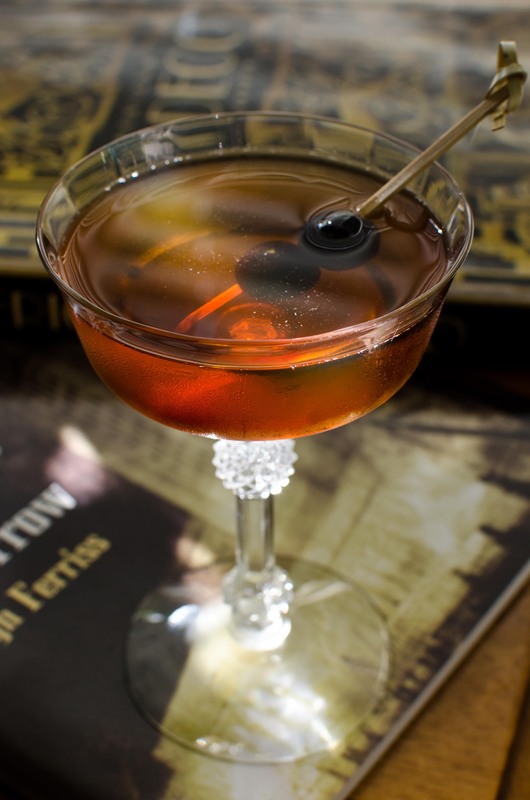 The Manhattan is an aromatic drink, not a sour, combining a spirit with a sweet, herbal ingredient — vermouth — in addition to bitters, which give it depth and complexity. As Dave mentioned to me, the Manhattan is one of those drinks you’ve probably heard about, but have never ordered, let alone tasted (unless, of course, you’re into cocktails and drinking already). He warmed to it rather quickly! Unlike the Martini, the formula for the Manhattan has essentially remained unchanged for most of its history, and a Manhattan ordered in 1890 would not be dissimilar to one mixed today. According to David Wondrich, the drink was likely a product of the Manhattan Club in New York, was essentially a whiskey martini, and took off in popularity during the “let’s-dump-vermouth-in-everything” phase of cocktails. Usually, the standard ratio for the Manhattan is 2 : 1 :: whiskey : sweet vermouth, but this varies depending on the whiskey and vermouth used. “Spicier,” more powerful whiskey? Use more vermouth. Sweeter, lighter whiskey? Use less vermouth, or increase the amount of whiskey. This goes for both bourbon and rye, as some brands and bottlings are more powerful than others. You’ll need more vermouth to balance out Wild Turkey 101-proof rye, and less for Maker’s Mark bourbon. Buffalo Trace and Four Roses (both bourbons) work well for the 2:1 ratio, I’ve found. Dave’s Bulleit Rye is very smooth and sippable, but lacks the heat and punch of Rittenhouse, so we upped the whiskey content. What about different strengths of vermouth? Well, you can make the same sorts of modifications. Stronger vermouth, like Carpano Antica or Punt e Mes? Use less of it. Weaker vermouth, like Cinzano or Dolin? Use more. Martini is a nice, medium-strength sweet vermouth, and is what I usually have around. Bitters play an important role, as well — some people like experimenting with Peychaud’s in a Manhattan, but I prefer Angostura. If you’d like to see what happens when you shake one instead of stirring it, check in, once again, with Mr. Hess. Cocktail Night #2 should be a fun one! This entry was posted on October 1, 2011 by IJ Lauer in Angostura, Bourbon, Drink Recipe, Dry Vermouth, Grenadine, Heron Social Club, Rye, Spirits, Sweet Vermouth, Vermouth, Whiskey and tagged bourbon, chandler pond, cocktail, cocktail night, drink, dry vermouth, heron social club, lemon, manhattan, recipe, rye, scofflaw, sour, sweet vermouth, whiskey.